In the Fall of 2016, Stray Rescue experienced a heartbreaking distemper outbreak that forced us to close our doors for several months as we treated the sick and worked around the clock to eradicate the disease. True to our values, we treated each dog individually instead of simply euthanizing all the dogs in the shelter or any who showed symptoms, as is standard protocol at many other shelters. We lost 43 precious lives during this crisis. As a no-kill organization that works tirelessly to save lives, we were devastated by every life that was lost, and it was a very dark time in the history of our shelter. However, we were able to save many others who may not have been given a chance at another shelter. We were also very fortunate to receive the advice and counsel of the veterinary team at the University of Wisconsin, who are known experts in the field of disease prevention and crisis management of distemper. Throughout this process, the veterinarians traveled to St. Louis and met with our staff to share their knowledge and make recommendations for how we could adjust our practices to ensure another outbreak never occurs again at Stray Rescue. One of the recommendations they made was in regard to how we shelter and care for the dogs located in the Phase 2 apartment room. Their suggestion is to reconfigure and renovate Phase 2 using the Mason Company’s Sani-Kennels system. The comfort, health and security of our dogs is always of the utmost importance, and there are many benefits of converting to the Sani-Kennels enclosures. Most importantly, the Sani-Kennels system will help prevent the spread of disease by maintaining a more effective air flow and by utilizing the Silvis Seal and Sani Slope technology which provides a watertight seal between enclosures. This prevents cross contamination between the enclosures and ensures the health and safety of the dogs while they await adoption. 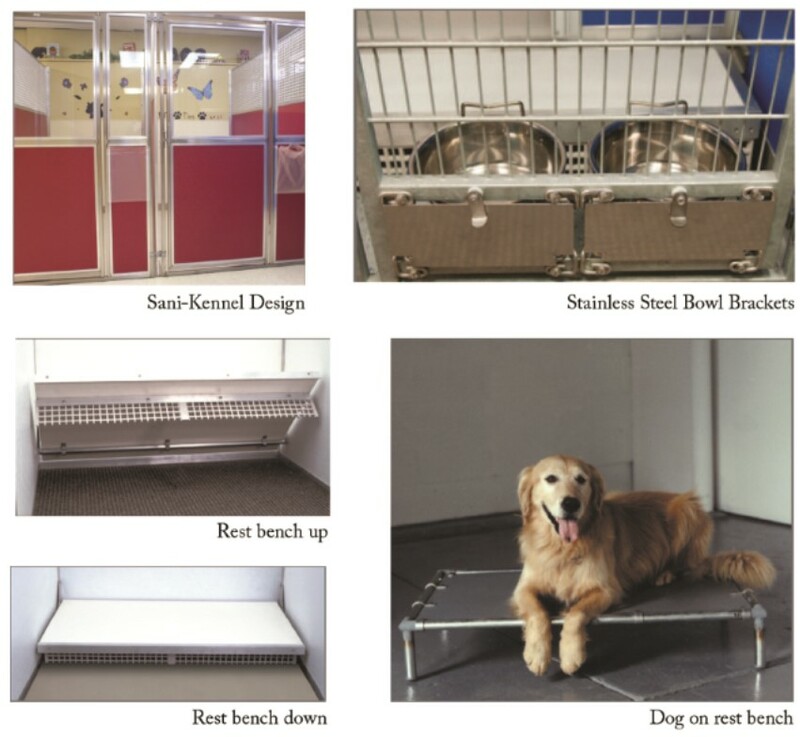 Every dog apartment will be enclosed on all sides and top, which will allow for the dogs to feel safer and more secure while providing ample room for their comfort, complete with raised rest benches in each apartment to keep the dogs clean, dry and comfortable. We also plan to install reversible, raised dog bowls which allows for caregivers to feed and water the dogs without having to enter their apartment and disturb the dogs. The noise level will be greatly reduced which creates a quieter, calmer environment for the dogs during their stay at the shelter. With a newly renovated Phase 2 apartment room, implementation of more group walks and play groups for the dogs, we are providing a healthier, safer and more comfortable environment for the socialization and enrichment of the dogs in our care while they await adoption. We want to ensure we never again suffer another disease outbreak at the shelter. Our hearts simply couldn’t take it. And you can help! With a $5,000 donation, you can fund one Sani-Kennel apartment for the comfort and safety of the dogs. And as a thank you, we will install a plaque with your name on it prominently displayed on that apartment! You’ve always been there for the dogs, and this is just one more way you can be an invaluable part of ensuring Stray Rescue remains state-of-the-art when it comes to the care, health and safety of our animals. Many thanks, and WOOF!